We are excited to be the Preferred Partner with Forget the Frock and offer you our 2019 Camp Zion Shirt. This Easter instead of buying a new dress or fancy outfit, "Forget the Frock" and buy a t-shirt! These shirts are fair trade certified and produced in the country of Haiti. These shirts are triblend and extremely soft. 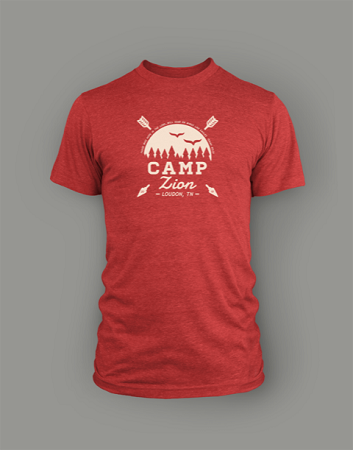 Tri-blend: US-grown cotton(50%), recycled polyester(25%), and rayon(25%).